FIND OUT! Is Gomez the right Arnautovic replacement for West Ham? Home Analysis Recruitment Analysis Is Maxi Gomez the right long-term Arnautovic replacement for West Ham? 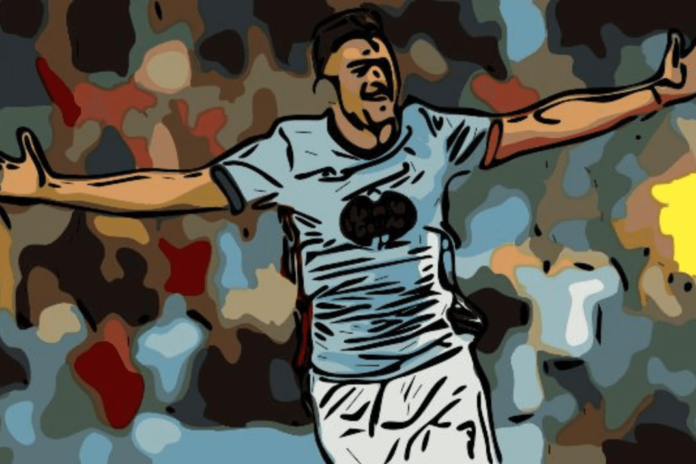 Is Maxi Gomez the right long-term Arnautovic replacement for West Ham? As the January transfer window draws to a close and the minutes tick away until tonight’s 11pm deadline, it’s not known whether West Ham United will complete the signing of Celta Vigo striker Maxi Gomez this month, or have to wait until the summer. But one thing does seem certain, whether it be then or now, the Uruguayan international valued at over €40 million will be hooking up with Manuel Pellegrini at London Stadium, regardless. Gomez looks set to be the replacement for wantaway forward Marko Arnautovic, with a move away from East London on the cards for the Austrian at the end of the season. But is Gomez the right long-term Arnautovic replacement for West Ham? Today, we’re going to answer that in a statistical tactical analysis. The first step to comparing the pair of international centre-forwards will be looking at their profiles. They are contained in the below two images from our good friends over at wyscout.com, with Gomez’s first and Arnautovic’s second. When the Hammers are finding their replacement for the reigning Hammer of the Year, the club will undoubtedly need to look for the same kind of player, a like-for-like replacement and as we can see, there are plenty of similarities between Gomez and Arnautovic. The first comes in physique with both players being tall and physical presences on the pitch, as evidenced by heights of over six-feet and weights of comfortably over 60 kilograms. Gomez may be a similar style of star to Arnautovic, but has his form been as strong or any better this season so far, as we move onto analysing the right side of the graphic? The answer is yes and even better, the Vigo man notching nine in La Liga from 19 appearances this term at an average of 0.5 goals per game. 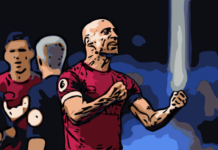 While the Hammer has only featured 17 times in the Premier League in an injury-ravaged campaign so far, he’s only netted seven with an average of 0.4 goals per match. Interestingly, it also doesn’t look like the East Londoners will be parting with much aggression and fighting spirit if they follow-through in bringing Gomez to the capital of England. With Arnautovic soon leaving for the Chinese Super League, which is exactly how things appear to be unfolding. This is down to the FIFA World Cup 2018 participant matching the 77-cap Austria and West Ham vice-captain’s three bookings in 18/19, a lot for a forward. Their heatmaps and position maps back up our earlier positional points of the duo both featuring as out-and-out attackers, meaning Gomez would be comfortable stepping into Arnautovic’s shoes. It’s all well and good finding out that Gomez and Arnautovic are similar players, but is there any evidence to suggest that the former would be a worthy replacement or even an improvement on the latter? This is where the next stage of our tactical analysis comes into it, as we bring you another two Wyscout images below in order to compare their key career average attacking stats. Now, you may be thinking that due to the man in his sixth year in the PL having seven years on the man set to replace him at London Stadium, this is an unfair comparison. As Arnautovic has had much longer in the professional game to perfect his attacking averages. However, the club-record signing from Stoke City in summer 2017 has only been playing in a striker’s role for roughly the same amount of time Gomez has been competing in one of Europe’s top five leagues. Arnautovic was converted from a winger to a striker in early 2017/2018 by David Moyes, while his fellow frontman swapped his native Uruguay for Spain around the same time. So it evens itself out. Anyway, let’s get straight down to the analysis of these per-90 minute figures and it’s an intriguingly even start. Gomez is immediately on the front foot with a better goals per-90 minute average of 0.53, but can’t match the assists average of his potential future teammate, 0.16. However, from here, the South American reportedly very keen to work with one of the continent’s legendary managers in Pellegrini, takes two vital striker stats with more shots and a higher percentage of them on target. And a better expected goals rating. Unsurprisingly, though, the more experienced Arnautovic comes roaring back to beat Gomez with his 1.34 shot assists, 2.46 crosses with 35.8 per cent accuracy, 6.38 dribbles with 73.7% completion rate and 14.04 offensive duels, almost 50% of which he wins. Impressively, the 29-year-old is also more dangerous in the final third of the opposition with marginally more touches in the opposition box, on average, 3.71 to 3.13, and comfortably more progressive runs per 90 minutes. But, as we can see, there are still two more stats for the bright prospect that is Gomez to come out on top in. These are offsides and fouls suffered, being flagged by the linesman fewer times on average and drawing more set-pieces for his team. Overall, when we total up the scores with one point being awarded to each player for winning a specific stat, things are very tight, though it’s Arnautovic who just reigns supreme, winning 10-6. Despite losing as it stands, one would certainly fancy Gomez to have eclipsed these figures by the time he reaches the age of the former Inter Milan man. This brings us on nicely to the final factor we’re going to be analysing which sets the two players apart, age. And it’s one that has been a huge facet in the making up of many fans’ minds that Gomez is the right replacement for their club’s talisman. The wonderkid who shone so brightly in Russia last summer is only 22-years-old, meaning as aforementioned, there’s a gap of seven years between himself and Arnautovic, 29 and about to turn 30. The age factor means West Ham would essentially be replacing an ageing star exiting the prime years of his career with a talented young one, yet to enjoy the best years of his career. An exciting prospect for all connected to the team. In conclusion, our statistics-driven tactical analysis today has found that, taking all the statistical and tactical factors into account. Yes, Gomez could well be the right long-term replacement for Arnautovic and undoubtedly, one of the best available to them at the moment. It would appear strongly that the Irons staff agree, with a transfer and loan back to La Liga until the end of the season on the table, if not a straightforward permanent move following the conclusion of 2017/2018. Arnautovic is guaranteed to stay at least until the end of the campaign and members of the Claret & Blue Army, without a shadow of a doubt, should be happy to let the temperamental veteran go, if Gomez is to walk in through the same door. 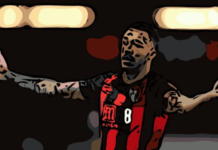 Would Callum Wilson be an improvement on Arnautovic for West Ham? 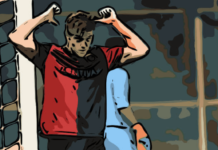 Why are West Ham so keen on Krzysztof Piatek as Arnautovic’s replacement?